Join us at the campground after the Blues Fest! It's a great place to wind down, go to sleep, or break out the grill and hang out with other blues fest fans! The campground is located 2 blocks from the stadium at the (west side) Fargodome tailgate lot so it is an easy walk! You can bring a camper, motorhome, van, motorcycle, or car. ONLY tent camping in the shelterbelt. Please park campers with generators on the north end of Lot F.
- All sites are sold on a 1st come basis. - There will be portable bathrooms on site. - Quiet and private location. - Be sure to bring a grill and a cooler. - Camping begins Friday at 8:00 am and ends Sunday at noon. NO THURSDAY CAMPING! No Admittance to Campground without a Camping pass! ​- Each vehicle must purchase a camping pass. - ABSOLUTELY NO FIRES ON THE GROUND! Self contained fire bowls (preferably with side webbing) ONLY! No fires directly under trees. Fire must be at least 15 feet from any tent! - If you drink too much and can't drive home, purchase your camping ticket at the campground. Throw a tent in your trunk and keep everyone safe! 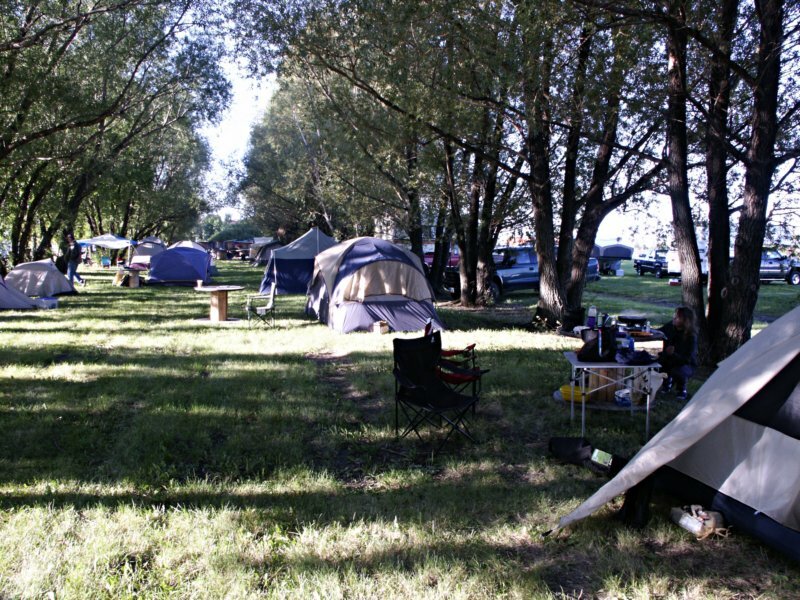 If you would like to camp with showers and hookups, check out the following campgrounds. Keep in mind, they are not "on site." RVs @ WALMART park free.